I recently had the pleasure of selling my home in Kobe with Rica and her team at Core 8. I could not give a more heartfelt and sincere recommendation. My situation was full of all sorts of idiosyncratic details, buyer complications, doing business across international borders, and everything possible that would bog down a real estate sale. Other real estate companies, even ones I had a long relationship with, did not have the time nor the bother to assist me. Rica at CORE 8 immediately had a can-do approach, and broke down what was a very complicated transaction into simple, manageable steps for both me and the buyer. In my 15 years in Japan, through both home ownership and the rental for my small business, I have dealt with a large amount of real estate companies and their agents. Rica has them all beat, in every aspect. She was friendly, prompt, capable, and always available. Their service is just not seen in the Japanese real estate world and I would have been happy to have paid double for what was such a smooth and pleasant experience. 5/5 stars! Naomi and the entire Core Eight team are an absolute pleasure to work with, and made the moving process so much less complicated! They are extremely responsive to any questions and concerns one may have. Naomi helped me find a wonderful apartment that fit my needs, and was very patient with all my requests along the way! If anyone I knew was looking for a new housing arrangement, I’d definitely recommend Core Eight without any hesitation! 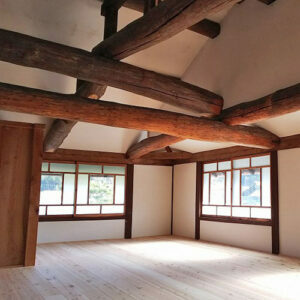 Core Eight is now associated with Nakagawa Jyuken and selling KOMINKA - old wooden traditional houses built in a traditional Japanese architectural style using timeless building techniques and natural materials. Okuike is a world unto itself. 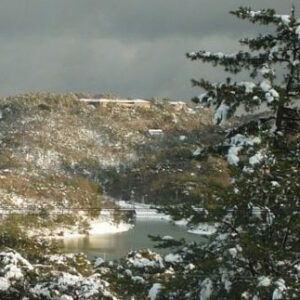 Surrounded by national forests on all sides, yet only a 15-minute drive to the conveniences, restaurants, and culture of the greater Kobe area, Okuike offers an almost retreat-like atmosphere of serenity and solitude that attracts many who desire their own secluded oasis. We can help you find a suitable property in Kobe. Get in touch today. 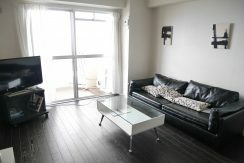 Semi-furnished 2LDK apartment ready to move in! Find the best properties in Kobe with assistance from Core Eight. Core Eight is an English speaking real estate agency based in Kobe, Japan. We can help you to find a suitable property in Kobe. Copyright Core Eight 8 © 2016. All rights reserved.